Dr. Alan Ellman is president of The Blue Collar Investor Corp and author of four best-selling books on the subject of covered call writing. His fourth book, Stock Investing For Students, is now required reading at The University of Maryland. His fifth publication, Selling Cash-Secured Puts has also become a best-seller. He has also produced several DVD educational programs on this subject. 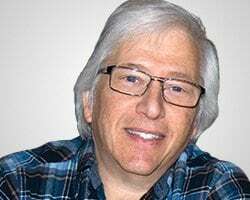 Over the past few years, Dr. Ellman has been a frequent guest on financial forums such as the Options Industry Council's Wide World of Options and is also a national speaker for The MoneyShow, TradersExpo, and the American Association of Individual Investors. He writes weekly articles for his award-winning blog as well as various financial publications in the US and abroad. Dr. Ellman wears many hats as he is also a retired General Dentist, a licensed real estate salesperson, a certified personal trainer, and has successfully completed the Series 65-Investment Advisor Rep requirements.